You want to know what all moms have in common? We are a big community of giving women. We love, we sacrifice and we would do anything in the world for our own children and even for children we don't even know. And want to know something else a whole lot of moms have in common? I don't know about you but I feel like ever since Ava was born I cannot keep up with clearing out her closet and bringing in the new stuff. They grow just so fast and in the blink of an eye nothing seems to fit, even after only a couple of wears. The moccasins she wore one are all of the sudden squeezing her little toes and I'm constantly boxing up clothes she can no longer squeeze into. And I've got to admit, I always want to shed a little tear when some of my favorite outfits and shoes of hers no longer fit. Believe me, I've tried to get one more day out of so many. And when I really think about it, it's such a first world problem. A problem that kids on the other side of the world with no parents, no families, and no shoes on their feet would ever even dream of. And I have the power to change that. And the answer is Kinbe. You guys, this is seriously the neatest brand and I am so excited and just really proud that I have the chance to partner with them so I can make a difference for kids across the world. 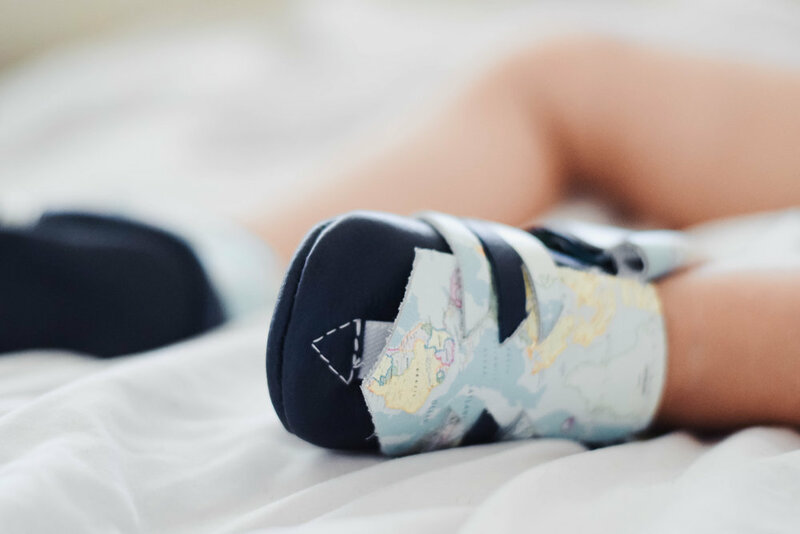 Kinbe is a socially conscious kids clothing and moccasin brand that exists so that we can take the same love we have for our own families and give some of that love to children around the world. And might I mention that the moccasins grow with your child's feet. No joke. They're like magic. When you support Kinbe, 25% of the profits go to helping to create loving homes for children without them. And they've even got a Kinbe village Drive where you can get 40% off of your Kinbe order, just for donating new and gently used clothes which go to orphans in Guatemala through Hope of Life International. Now that's a win-win if I've ever heard of one. If you could buy a pair of moccasins for your little one that grow with your babies feet AND could help a child across the world, would you do it? Of course you would. I am so proud to be partnering with Kinbe on this beautiful mission. As a community of moms, together we can make a difference. Play Dates: My breath of fresh air.